Well when our owner decided to open her own salon, the space was seriously lacking in high quality service that was affordable and still put customer service in the forefront. Now there are tons of salons following suit, recognizing that you shouldn’t have to travel into Manhattan for the service you really want and deserve. The truth of the matter is we were one of the pioneers in redefining the Brooklyn salon. At the very least we’re excited that there are so many amazing salons to choose from, we just hope you always choose us! 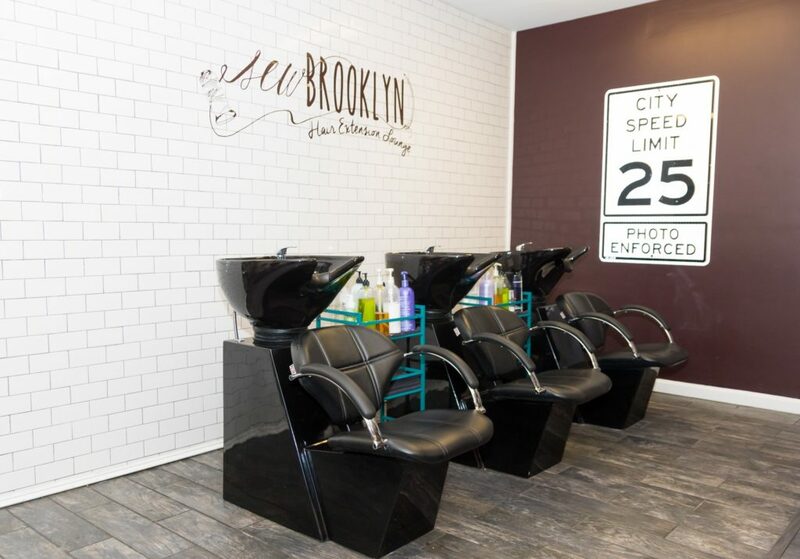 SewBrooklyn – Hair Extensions Lounge was built with the intention of redefining the Brooklyn salon. Too long has the Brooklyn salon been associated with the same look and feel as the next. We wanted to show Brooklynites that a salon is more than just a “shop.” SewBrooklyn is not just somewhere to “get your sew in done”, it’s a place that you can come relax and enjoy the overall experience from service to quality to care and the respect of your time. What makes SewBrooklyn, soooo Brooklyn? It’s the excitement you feel when you first walk in. It’s the authenticity. It’s the friendly, loyal, cool neighbor that you love. Just like Brooklyn, you’ve got to experience it to see why people rep so hard! Wow. My first experience at Sew Brooklyn was SO...BROOKLYN! 🙂 Express treatment, high quality styling + uber-professional, hip, stylish environment. .
Best weave I've ever gotten. Period. At Sew Brooklyn we will always put you first! We pride ourselves in offering exceptional customer service. We value your time and aim to provide you with the best service in a reasonable time! In addition we have tons of perks! A beverage while you wait, great music and an ultra chill ambiance unique to Brooklyn. This all provided by a staff that is dedicated to catering your styling needs! Sign up for our mailing list to always be in the know for special promotions, discounts and customer appreciation sales! At Sew Brooklyn we don’t just stop at being good we aim for great! We are train our stylists in the latest techniques and offer free in house classes to help hone and perfect our skills. We also encourage one another to grow and cultivate individual brands within the Sew Brooklyn umbrella – no shade. As an Aveda partner we offer a wide range of their amazing products for a multitude of hair types and solutions! We will also continue to offer other products to service our clientele! Make sure you’r apart of the mailing list to find out the latest information!